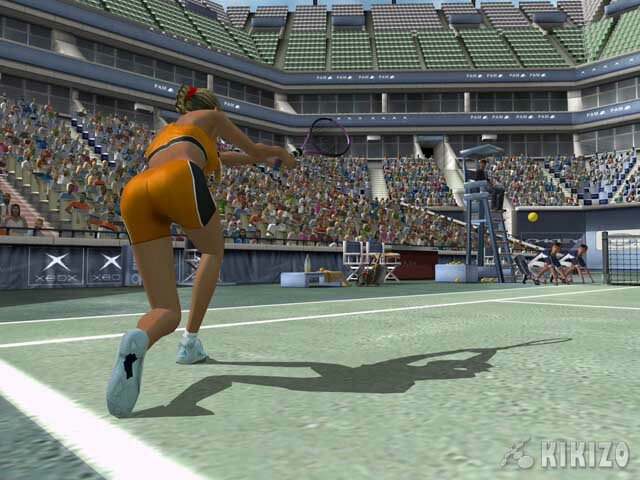 Tennis games may have been around for decades by now, but Top Spin proves that they can still be a lot of fun. About five miles from where I'm sitting right now, the best tennis players in the world assemble each year to take part in the tournament that has come to symbolize the game. 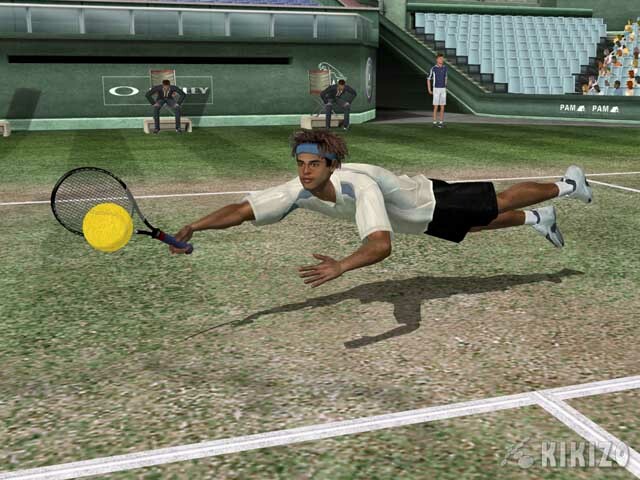 Over the years, all the greats, from McEnroe to Hingis, have slipped and slided across the grass courts in search of that elusive trophy. And honestly, I couldn't give a damn. 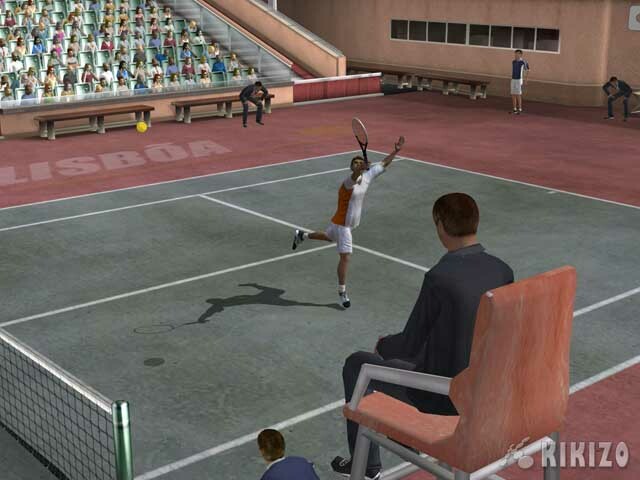 Yet somehow, tennis as a videogame has always intrigued me. 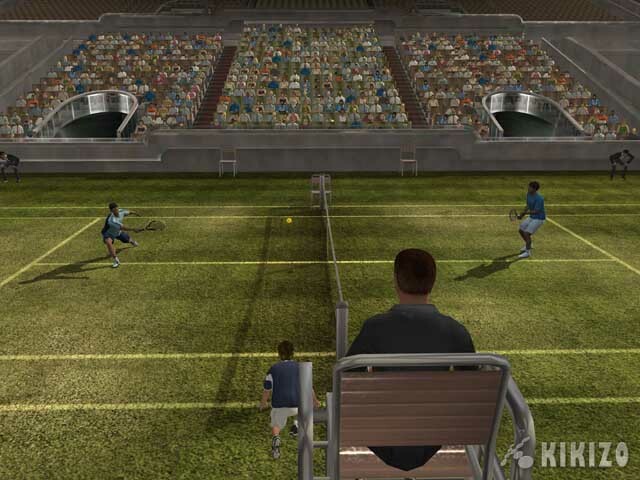 Tennis and videogames have a long history together. 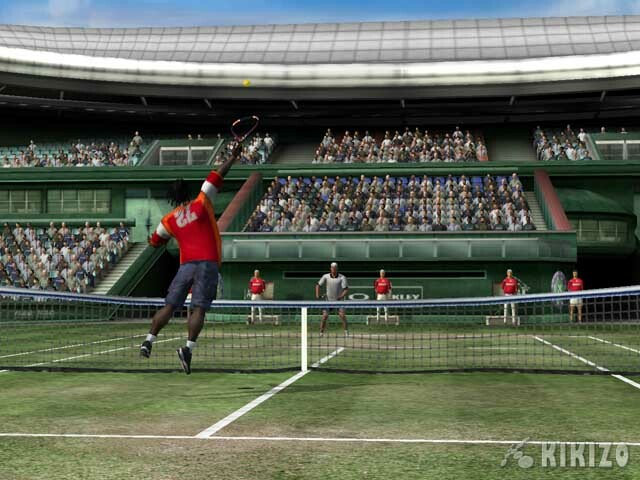 Why, the very first home console game was based on tennis, and the sport has turned up innumerable times in the decades since on just about every platform ever made. The most successful videogame versions have always allowed you to rid your mind of the head-bobbing to and fro that accompanies spectating in favor of some good old fashioned hands-on participation. 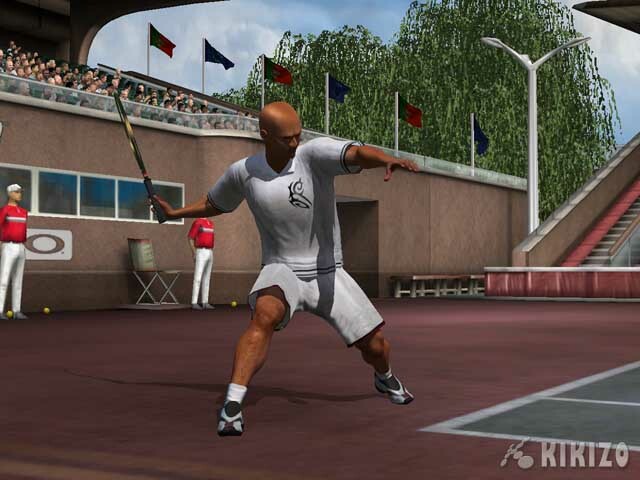 The latest company to take to the court is Microsoft with the suitably titled Top Spin. With solid game mechanics and it's Xbox Live-based player ranking and game setup system in tow, the megacorp has crafted a satisfying experience that suffers from a few small yet significant flaws. 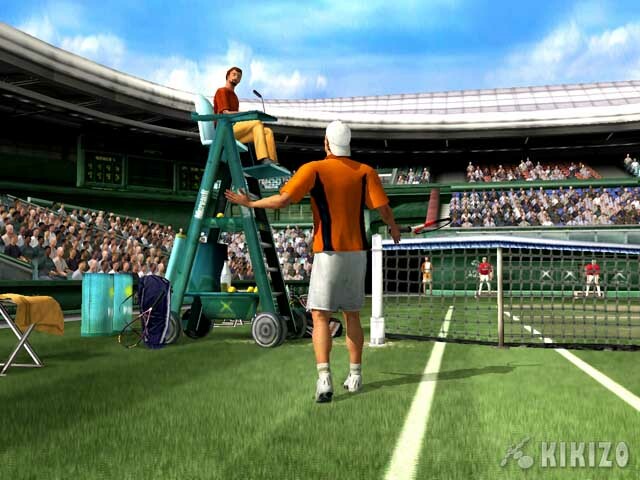 The big question on everybody's minds is whether it trounces the champion of the last few years, SEGA's Virtua Tennis. The answer is a resounding "Sort of." Top Spin offers more depth than SEGA's seminal series, which wore its arcade heritage with pride on its sleeve. 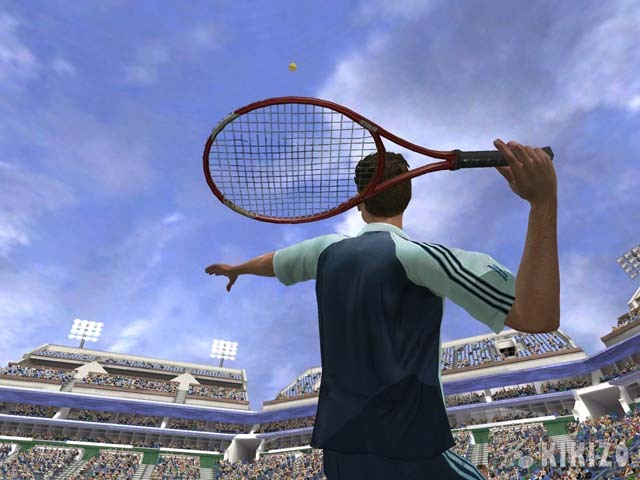 Top Spin aims for something a little more involved, and for the most part it succeeds, but there's still a lot of leeway available in the gameplay department, especially with regards to opponent AI. 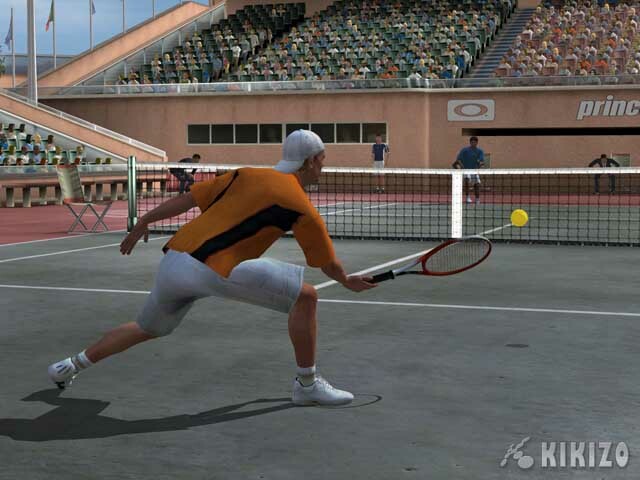 The heart of Top Spin is the career mode, which sees you creating a character from scratch and then heading off on a free-roaming world tour that'll take you to six continents (Antartica get's snubbed, sadly). The character creation system leaves much to be desired, and those that have become used to the finer nuances of EA's awesome new GameFace system (as seen in Tiger Woods PGA Tour 2004) will be bitterly disappointed by the effort required in recreating yourself onscreen, and even then you won't be able to get it just right. 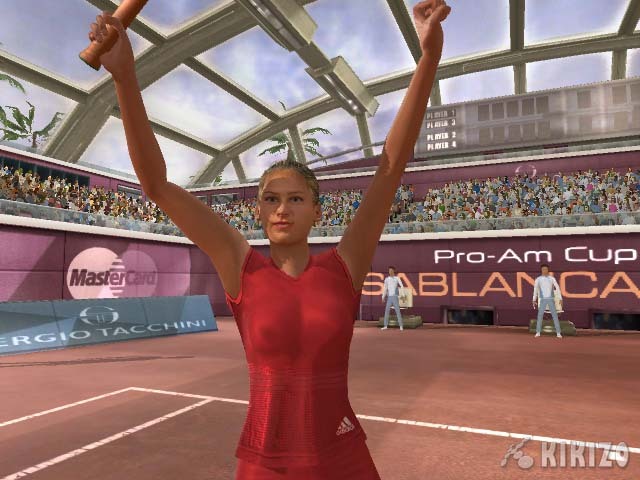 Once your avatar is brought to life, it's off to the courts. First stop, stat increases. 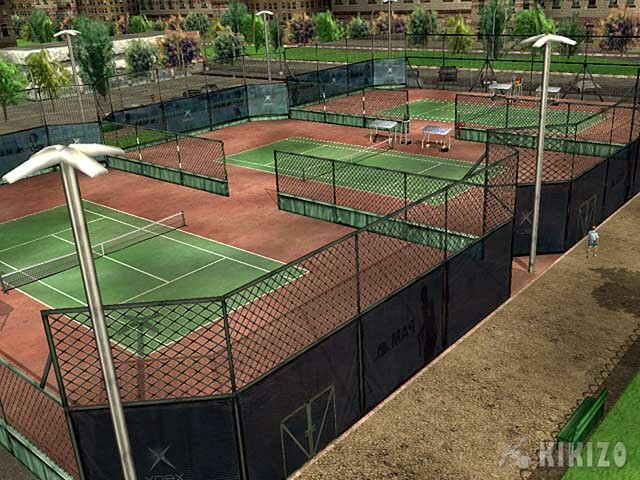 Your character starts out as a pitiful excuse for a tennis beginner with a World Ranking of 100. By training with various coaches scattered throughout the globe, it's possible to boost each of four characteristics (serve, volley, forehand and backhand) in a noticeably significant manner through the acquisition of stars. Stars are earned by completing tasks set out for you by the specific coaches, and with five stars available for each stat, a quick calculation will reveal that there are twenty stars up for grabs. But therein lies the rub, or at least a part of it. You are limited to a maximum of 14 stars, which means that some strategy is involved in deciding exactly which strengths you want your character to possess. 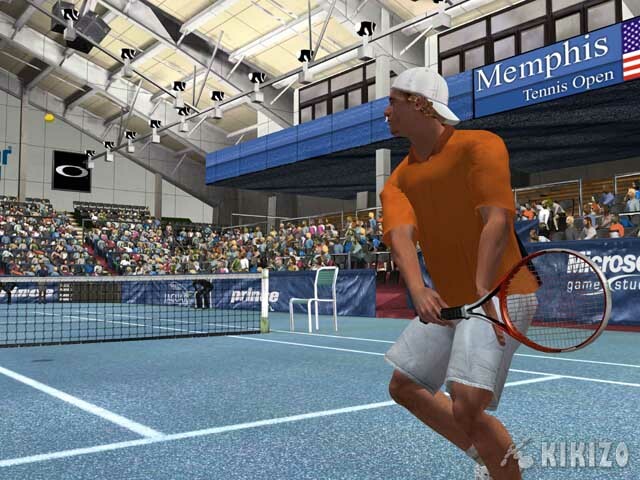 What's good to see is that your choice has a very real impact on your progression through the game, and each of the computer opponents are also under the same constraints (except for Pete Sampras, who is too good for a piddly 14 stars and has 15), meaning that you will be facing opponents that are better than you in some areas, but will also always be worse than you in others. Too many games allow you to boost your stats right off the charts, sometimes quite early, with the end result that you just steamroll over everyone and everything that crosses your path. That being said, I feel a little cheated that the game doesn't allow you to maximize your stats once you near completion of career mode. But the system does make sure that player are overall evenly matched, albeit with different skill sets, which makes for some interesting matches, so there's really not too much to complain about. The general game mechanics are straightforward and there's a very gradual learning curve. The four face buttons represent regular, lob, top spin and slice shots, with the triggers reserved for special moves. The right trigger brings up a vertically scrolling bar (think Hots Shots Golf, only on its side) that requires your stopping it on a specific mark to successfully perform a string-snappingly hard passing shot. 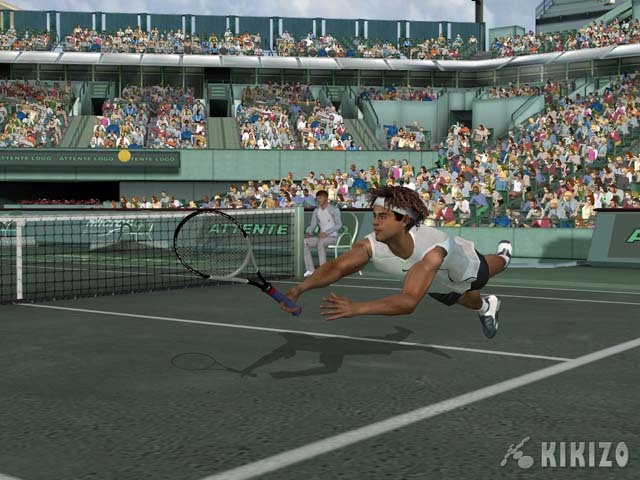 The left trigger handles the drop shot duties using an identical mechanism, though its effectiveness is hardly noticeable, meaning that the game is robbed of some much needed finesse. The six different shots do actually feel significantly different though, and later matches will demand that you be fully conversant in their usage, so it's worth your while to learn to use them as soon as possible. From a singleplayer point of view, the game's biggest crime is an unbalanced AI system. You start out your career as a lowly amateur, progressing up the ranks as you win tournaments to the top pro level. 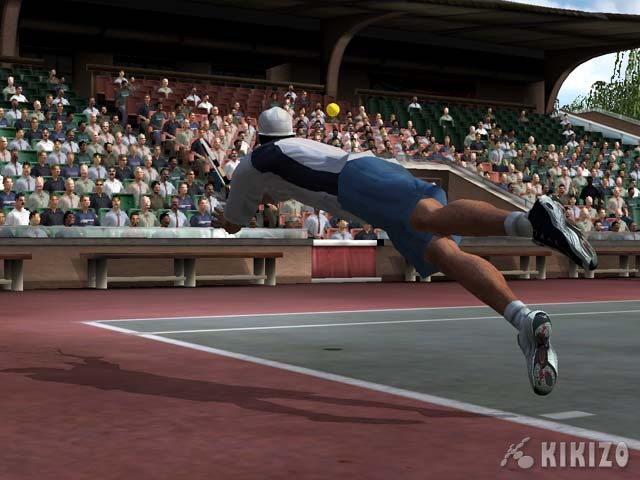 It's only when you start reaching the final rounds of Grand Slam tournaments that the game really starts to present any sort of a challenge. This is woefully inadequate for those that want to while away time playing by themselves. Throw in some extra controllers and take on some mates, however, and things change radically. 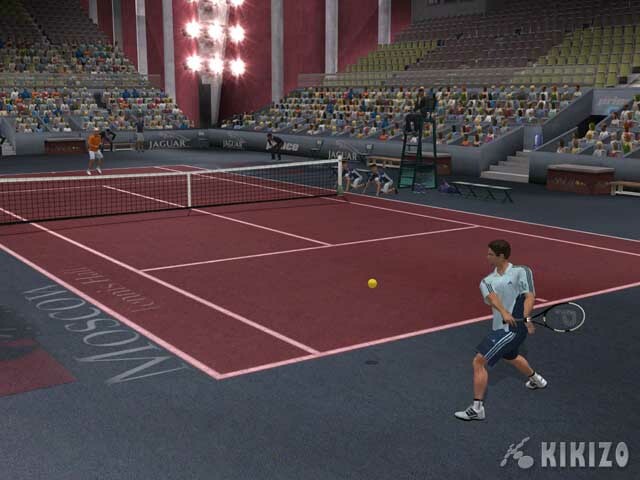 The well-executed gameplay system provides for a ton of fun in versus (one-on-one or two-on-two) or co-operative (two-on-two) modes. 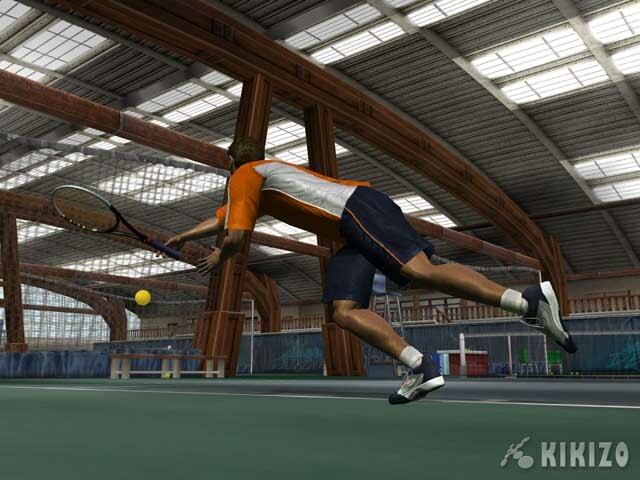 The action in the doubles games gets fast and furious, making Top Spin an excellent candidate for the occasional house/beer/videogame party. 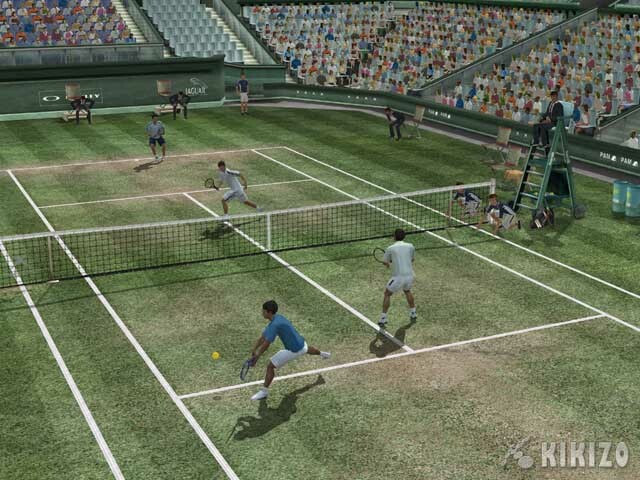 The other--and more touted--multiplayer aspect of Top Spin involves Microsoft's new XSN Sports service. This provides you with an all-encompassing online hub that will allow you to set up matches, follow online rankings, take part in tournaments, and follow results from across the globe as they filter back into the portal. The features are well-implemented, and do justice to the naturally addictive core game. Not a patch on the PGR2 Live experience, but superb nonetheless. One aspect of the game that does not disappoint, however, is the graphics. Developer Power and Magic has made full use of the extensive power of the Xbox to produce a rather stunning looking piece of software. 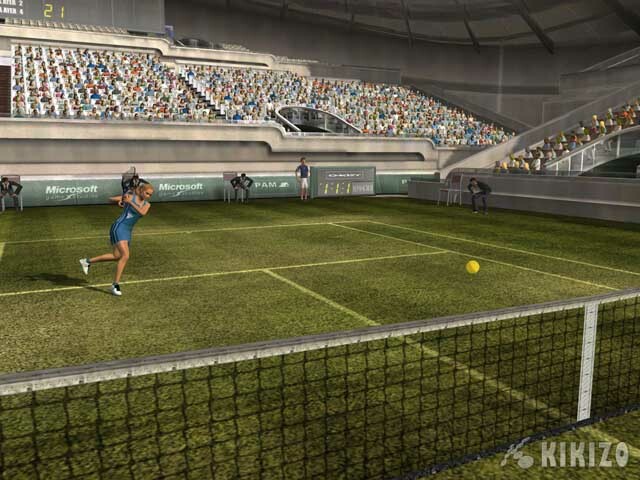 The game's male and female tennis personalities have been exquisitely motion captured to recreate the nuances of each of the real-life superstars. 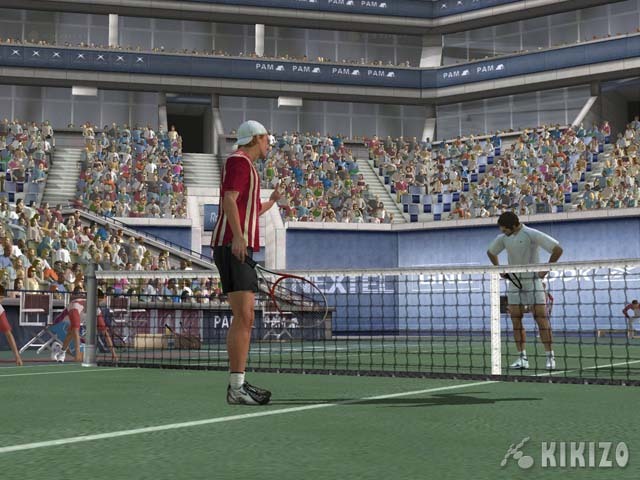 Little details, like side-line judges gesticulating when you hit the ball wide down the line, add to the sense of realism. All this tech comes at a price though: Top Spin gets rather bogged down by loading screens from time to time, even during such mundane actions as exiting a match to the main menu. The general exclusion of music, while keeping in tune with the real-life game, makes these load times seem even more wearisome. The crowds are nicely animated, if a little samey looking, with plenty of standing ovations when you wallop that half-volley past your erstwhile adversary. 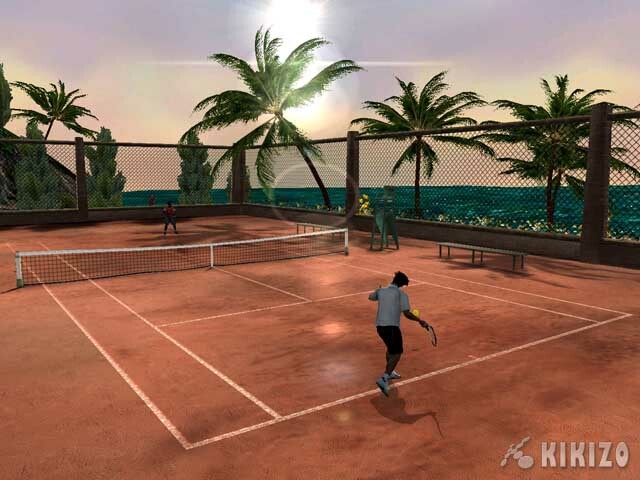 The game makes extensive use of commentary as well, which is spoken in different accents in the various globe-spanning locations. A nice touch in the game's presentation is the option of playing from a closer, third person perspective, in addition to the normal overhead view found in the panoply of games that came before. This view is much like the in-car view in driving games in that it adds a whole new feel to the task at hand that makes the experience seem somewhat more real. I initially found the perspective a little off-putting but soon found myself using it exclusively. One rather annoying omission is the ability to save during tournaments. 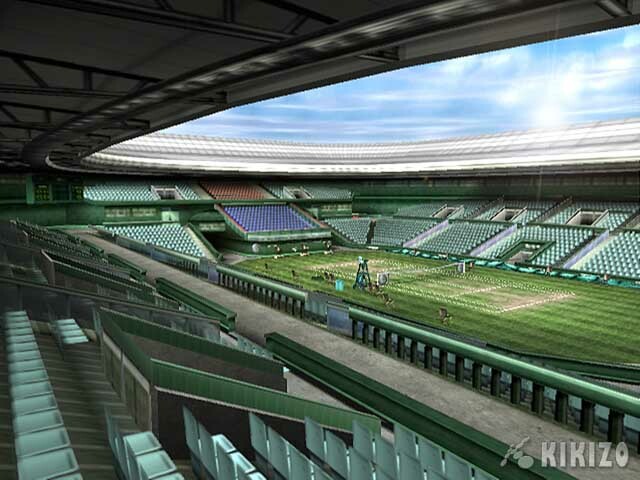 This means that if you decide to head off to the clay courts in Paris to tackle a Grand Slam event, you better be prepared to sit through all three rounds to complete it. While it's feasible that this was done to stop people from saving before tough matches, thus making progress a little easier, it's still aggravating when the real world pokes its disfigured head into the mix and you're stuck quitting out of the game with little to show for your efforts. Giving Top Spin a last glance is a little tough. While the game is well-designed and uses an effective, simple control scheme, there are several aspects that could have been better. The prevailing lack of challenge in the singleplayer game is made up for by the excellent multiplayer modes, but whether you're going to enjoy these depends on your ability to secure said friends or to get online. 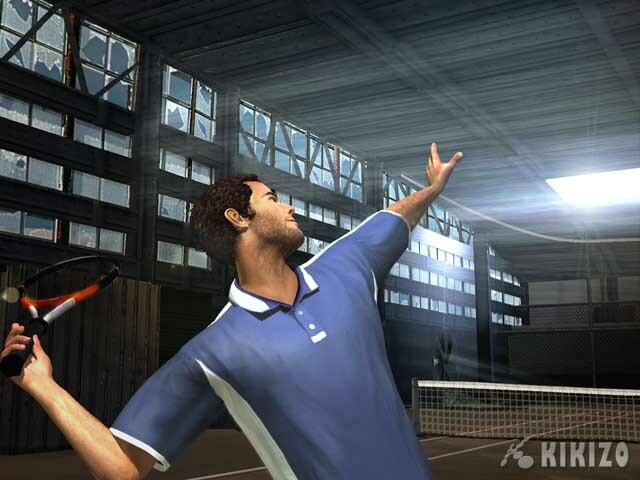 At the end of the day, Top Spin provides Xbox owners with an excellent game of videogame tennis that I really enjoyed. Who knows, I might even get motivated enough to consider taking a trip down the road to check out the pros in action in person. 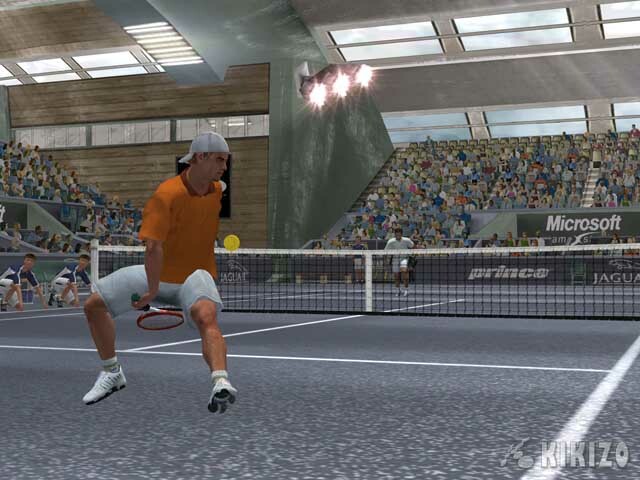 THE VERDICT: Sports games have always benefited from more powerful hardware, and Top Spin manages to extract a visually pleasing game out of Microsoft's box that also contains a solid gameplay system. The singleplayer career mode might be a bit of a breeze at times, but the multiplayer hijinks will have you coming back again and again. 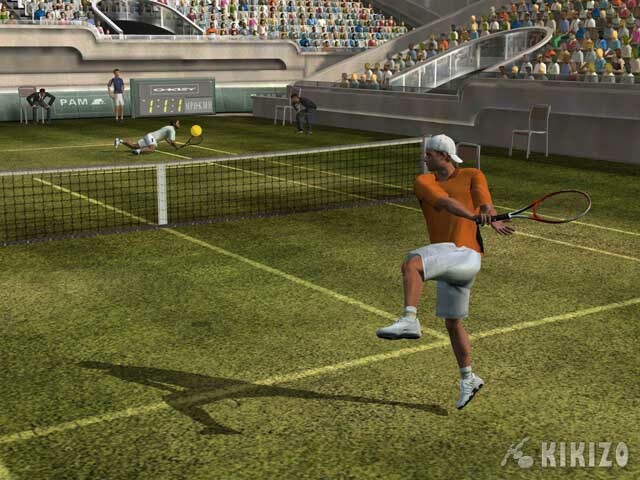 Though there is still room for improvement, this is a damn fine tennis game that is sure to keep you entertained.